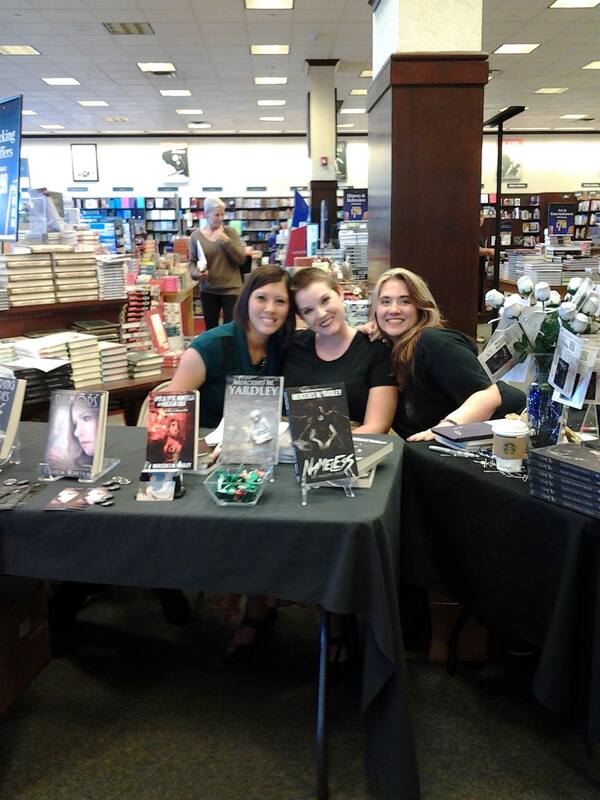 I forgot to update you guys on the Barnes and Noble book signing! “Take me, I’m yours” wasn’t meant literally. We had a lot of fun, and there was a great turn out. Especially for Kathy-Lynn Cross, who was signing her debut novel! It was very exciting. It was even more exciting when somebody grabbed a copy of Erica Keifer’s book and a copy of mine, and then ran out the side door with them. Alarm bells rang, but they didn’t catch her. Perhaps she’ll leave a good review.